Go to school. Study hard. Get a job. Work hard. Make money. Marry. Breed. Die. 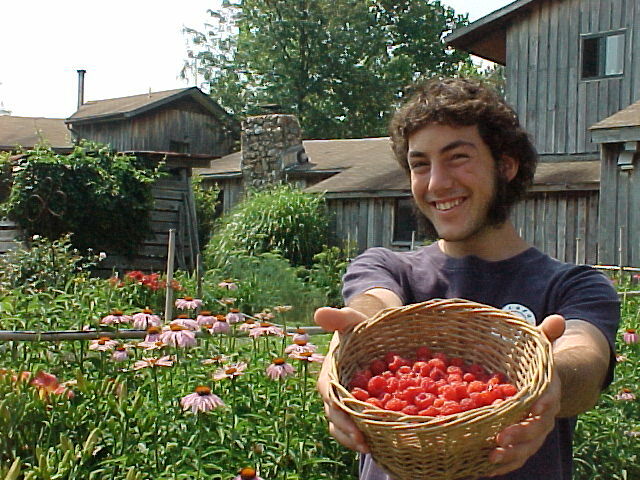 There are three income-sharing intentional communities all within a few miles of each other in central Virginia. Each of these provides fairly completely for the needs of the members who live there: housing, food, work, medical coverage, clothing, transport and more. At the same time, these micro cultures function without police, without bosses, while enjoying basically no crime and very little oppression. Most members who join retire their watches, their wallets and their keys – image how different a life that would be. Commune life is not for everyone and none of these places is utopia. But the quip is that on a good day you can see it from here. We will also be discussing how to start new communities and the tools needed to do this. This is a DIY event teaching how-to-make-and-sustain-a-live/work-community. If you are interested in more information about intentional egalitarian communities, come to our presentation at the BUZ. Here is a bit more about what we will be talking about. Twin Oaks Community. Founded 45 years ago, Twin Oaks is a large, stable community of over 100 people (about 95 adult members and a dozen kids). We grow a significant fraction of our own food, build our own buildings, run our own businesses, and don’t really use money on a daily basis. The commune evaluates all work done by its members the same (an hour of business management counts the same as an hour of cleaning the dishes) and members work on average of 42 hours each week. A complex and flexible labor system makes sure that each week dozens of meals are cooked, the cows get milked and hundreds of other meetings and jobs get covered. Twin Oaks has developed robust resource sharing systems for cars, bikes, clothes and more. Acorn Community: Started 20 years ago Acorn is a middle-sized community of 30 adult members with one baby and one on the way. Unlike Twin Oaks, Acorn uses a consensus decision making model, with a more anarchist internal organizational model. 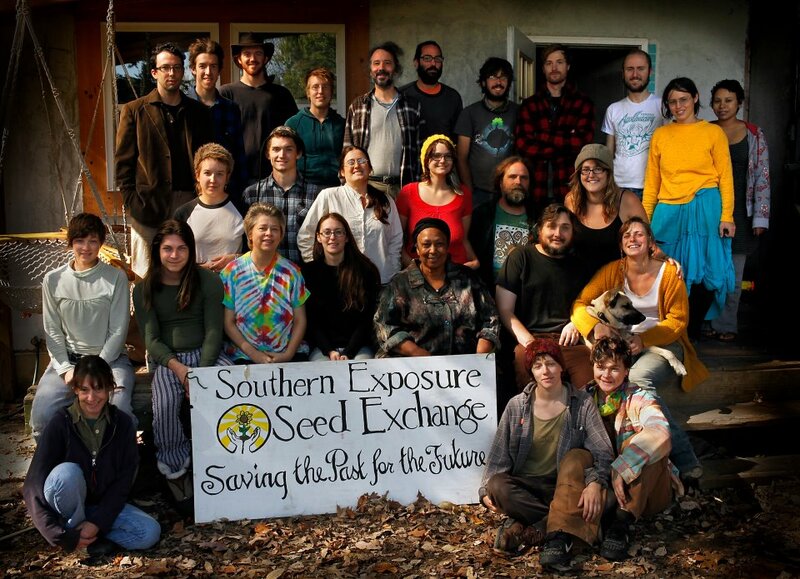 The economic engine for this community is a groovy and profitable heirloom and open-pollinated seed business called Southern Exposure Seed Exchange. For both it’s membership process and inner personal hygiene Acorn uses a clearness process which it has developed over the years. Acorn has a largely unscheduled labor system, in which it regularly seeks volunteers to handle any of the many tasks it takes to run a farm, which is also a business and home. Living Energy Farm (LEF): is a newly forming community designed to function in a post-fossil fuel economy. This dark green ecovillage is off the grid, and uses Oxen instead of tractors for it’s agricultural work. Just 2 years ago, 127 acres of clear cut was purchased for this new community and now, construction of the first real residence is well underway. LEF is in the pioneering stages, but many volunteers and the strong team in place make success seem likely. Also, the established communities in the area are strongly supporting this initiative. Hundreds of fruit and nut trees have already been planted and what was a clear cut will soon be an impressive orchard. All this and more will be discussed in the lively workshop and Q&A session at the BUZ Saturday night. If you are in the area, please come by, admission is free. Love it! This is such a cool place! @Jacqueline – Kassia is starting to edit my blog, much to my happiness, but she is traveling this week. If you have a better Acorn picture, please email it to me and i will swap it in.